Pinned up, braided or let down, our delicate, matte silver and rose gold oil drop-shaped hair accessories are the perfect finishing touches to your holiday hairstyle. 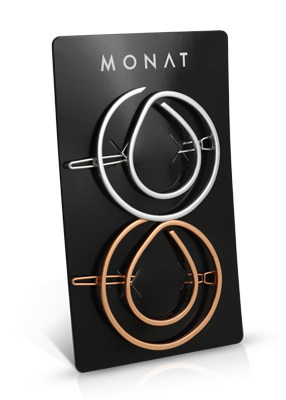 Be ready to steal the spotlight this holiday season, with our Limited Edition hair clips. Oh-so-chic, we can’t even count the many ways that you’re going to style your tresses!